Jane Yalunga Tinmarie was born in Wyndham, Western Australia. She went to school in Wyndham as a young girl, then moved to Warmun community, Westerm Australia, where she now lives. Yalunga worked as a teacher’s aide at the Ngalangangpum Community School in Warmun for many years. 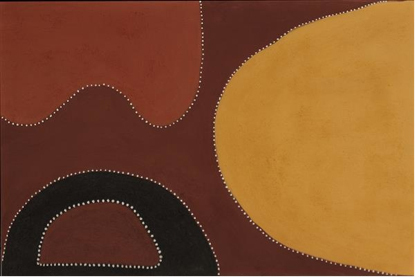 As the daughter of one of Australia’s most famous artists – Rover Thomas, Jane grew up watching her father paint. 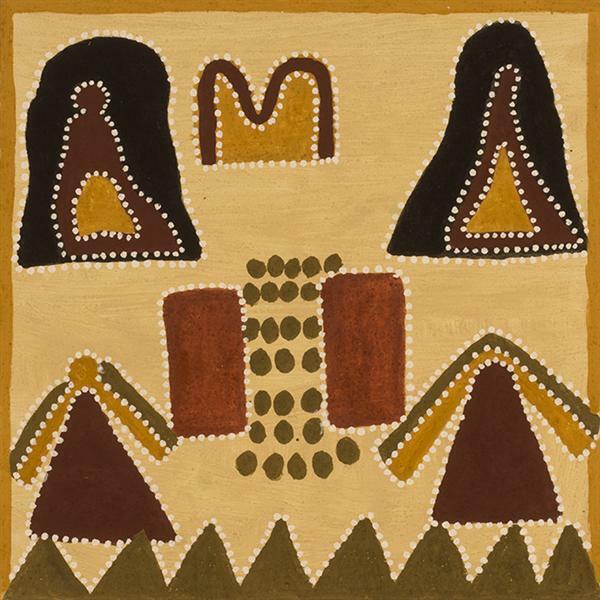 She started painting herself in 2000 at Warmun Art Centre, and her subjects include her family country on Texas Downs Station, local birds and animals and the country around Warmun in the East Kimberley area of Western Australia. She also paints the Dreamings from her father’s country including images from the significant Goorirr Goorirr Joonba (song cycle) that her father famously received in a dream and which is central to the emergence of the contemporary Warmun Art Movement.